So far is there anybody requesting for an acrylic plinth ? You may wonder. 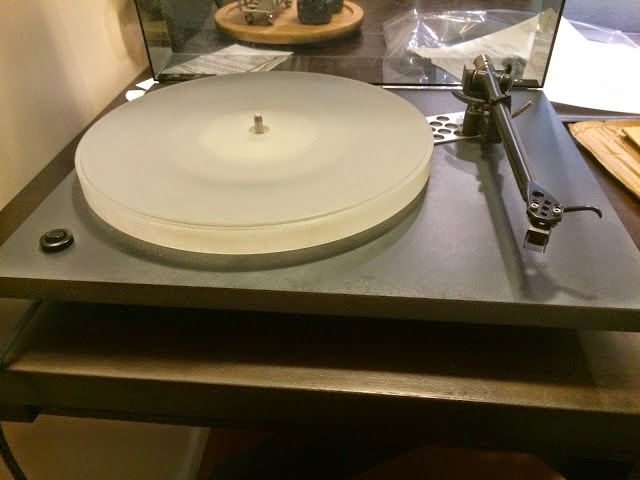 Yes, those turntable enthusiasts who believe acrylic plinth has low resonance property, making it a good choice for TT plinth, can't wait for me to add this to my list of Michael Lim upgrade accessories. Sorry for the long wait as I have been experimenting it all this while, both with and without bracings. Personally, I find it sounds best when braced. But of course the choice is yours! Fresh from the oven, here it is! the new Clear Michael Lim Acrylic Plinth! 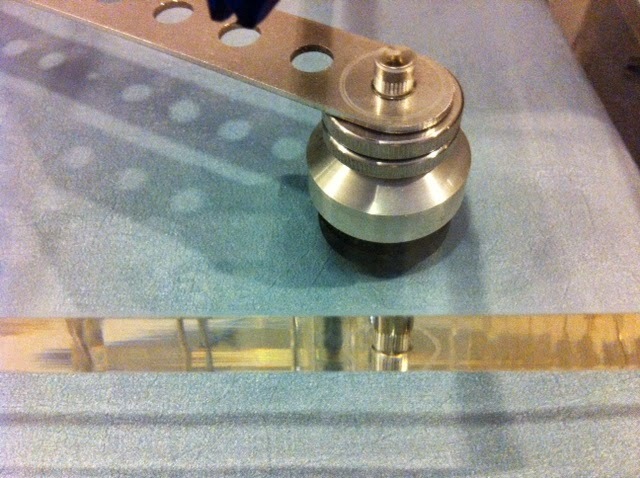 To maintain "low mass's concept", well-loved by many, the thickness of the acrylic plinth is kept at 18mm(~3/4"). 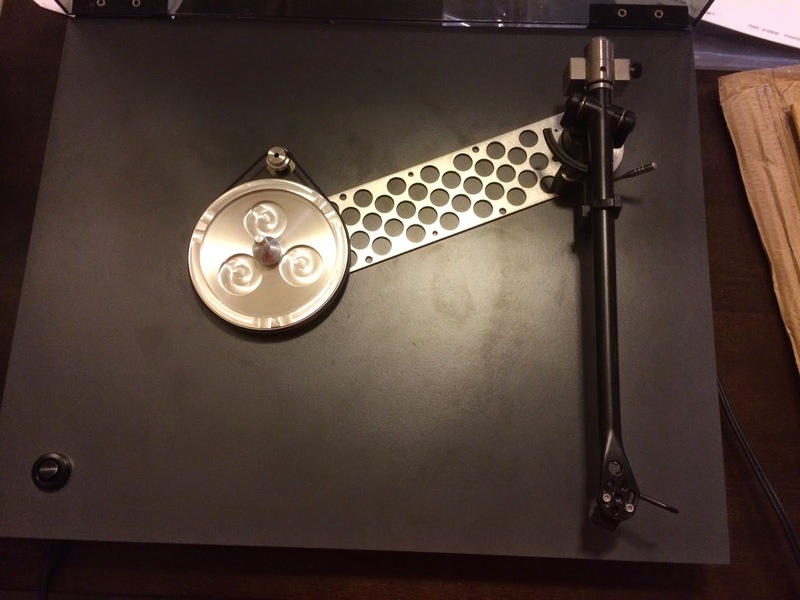 It is designed basically compatible with stock lid of Rega turntables. It is compatible with all new tonearms with 3-point mount as well as old models like RB100/RB250/RM300/RB600. You can also add a 3-point stainless steel spacer and enjoy the wing nuts tweak too. 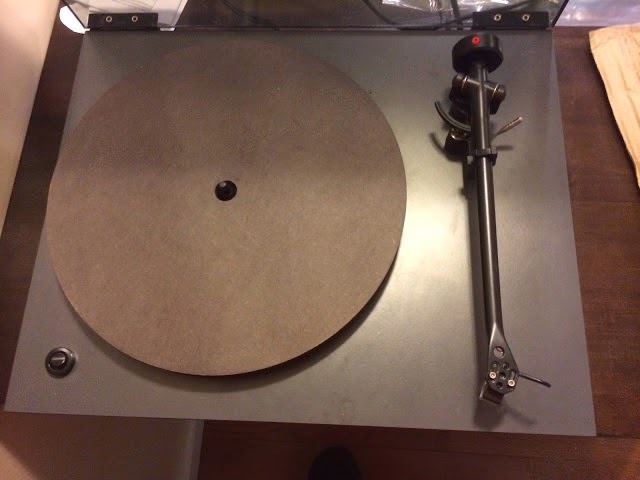 It is a suitable for DIY turntable projects and compatible with some Rega models (P1-P5, Planar2/3, RP1-RP6 ) and some Goldring/NAD models. 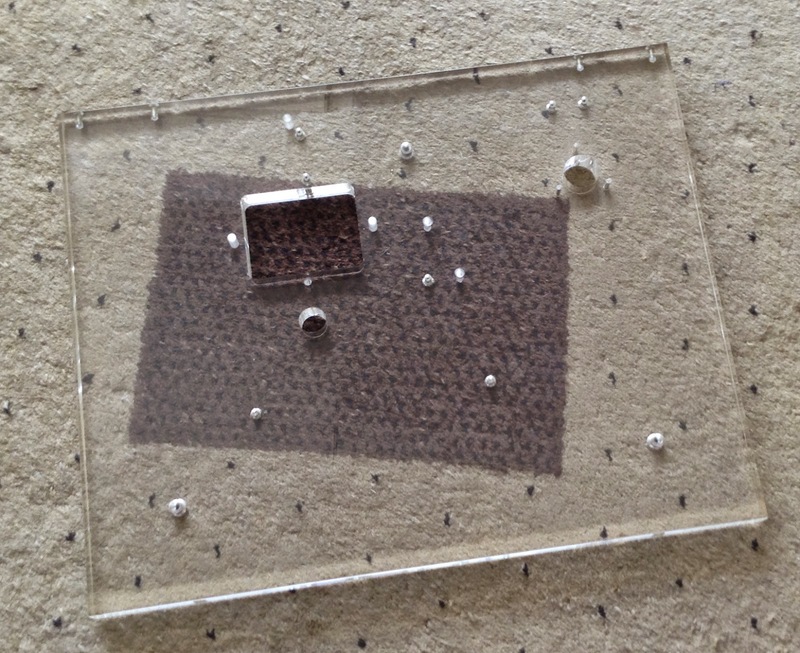 The clear acrylic Plinth (CAP1, picture below) can retrofit the stock rubber feet or my aluminium feet/ adjustable aluminium feet without problem. However, with adjustable feet plinth height adjustment and levelling are now a breeze! One of the main concern of acrylic plinth is rigidity and this is well taken care of by coupling it with the top alloy bracing and bottom stainless steel bracing. 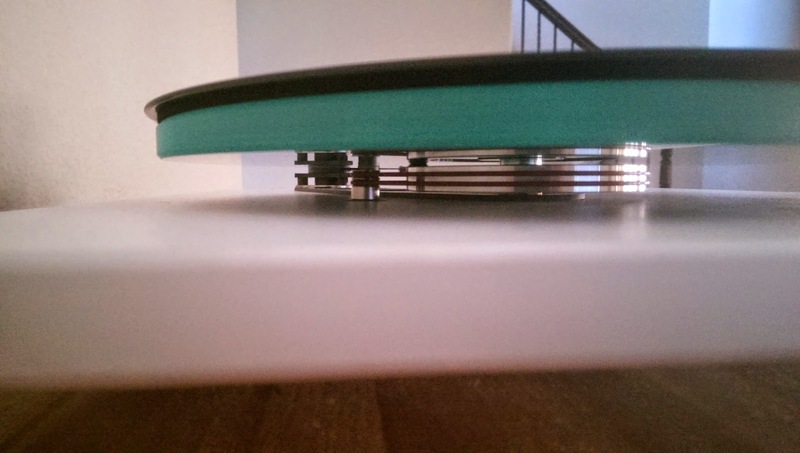 Another useful feature of the acrylic plinth is now belt tension is adjustable ( a feature found in many higher series of expensive TT's ) be it motor mounted on-board or motor off-board using motor isolation base. Firstly, 60Hz pulley has a smaller diameter than 50Hz unit, thus belt tension is different. Secondly, the belt tends to get loose over time, so the need to adjust the belt tension to optimum. How is it, this new TT of mine? Beautiful...... both look and sound wise! Try out and hear for yourself! Hearing is believing ! Happy Tweaking! Remember to specify the model when you place order. Introducing to you now the new clear acrylic plinths with add-on color skeletal tops. Available in glossy blacks, white, red, yellow and orange. The color skeletal top not only add colors to the plinth but increase its rigidity which is critical to good sonic improvement to the TT. These color tops are glued and bolted to the basic clear acrylic plinth. You would definitely love a TT which not only sounds good to the ears but also looks beautiful to the eyes! I believe the new "colored"acrylic plinths need no further explanation! I assembled. It is very good! 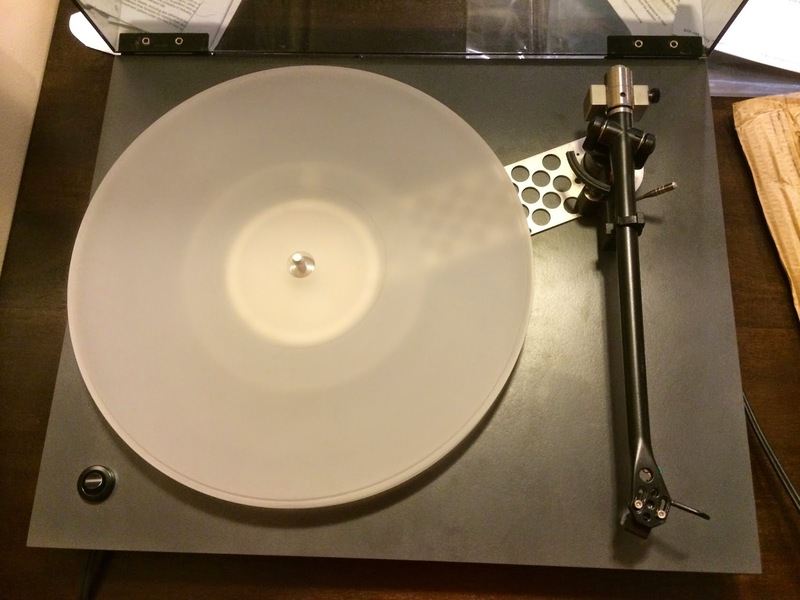 Paul of New York, who owns a number of newer Thorens automatic turntables, bought a manual value-for-money NAD533 deck to tweak. 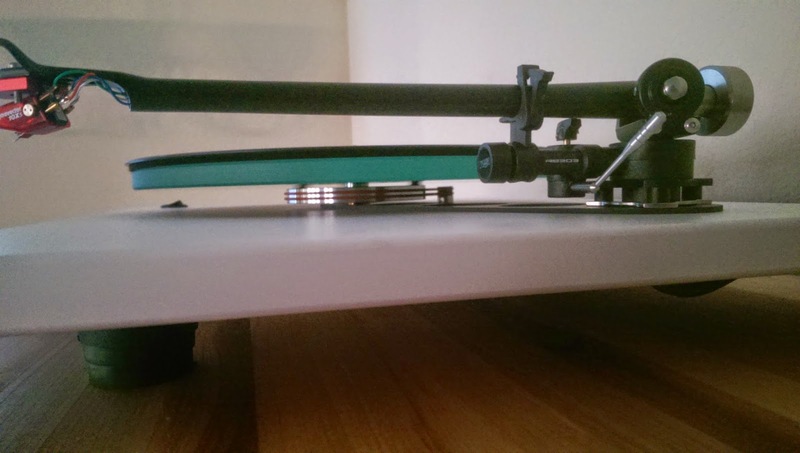 No hassle, NAD 533 shares the same benefits as Rega decks when comes to tweaking. 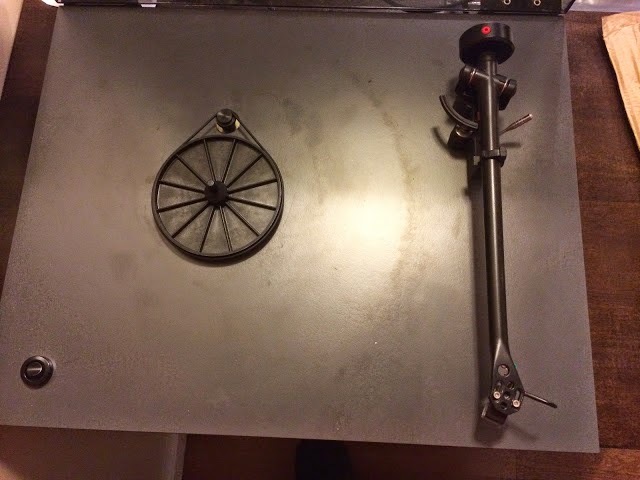 So he gladly begins with stainless steel pulley, aluminium sub-platter, stainless steel underslung counterweight, acrylic platter and top alloy bracing. Paul is a fast worker and comments and pictures are sent in real quick! Thanks Paul! Here are the pictures and comments. Enjoy!